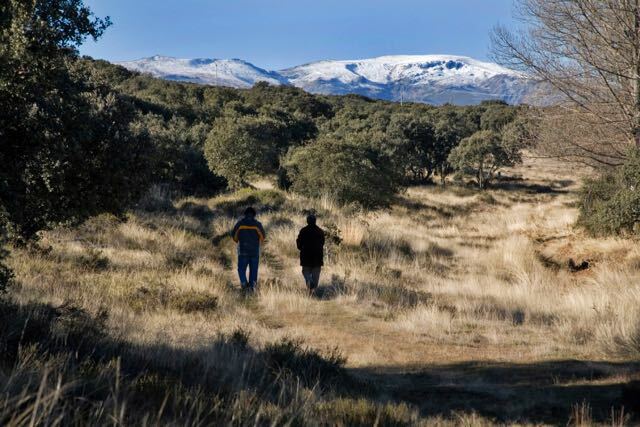 According to the oral tradition, the name of the town originally was Santa Cruz, and it covered the area between the two streams which go along the valley. Due to an epidemic disease, the town disappeared. The remaining inhabitants went up the hill, where the Yuso Hospital was, in The Way of St. James. Then, they started to settle in this place. Here is where the name of Santa Catalina came into existence. This house was one of the first ones, built by professional stonemasons, a former stately home. Once it was inhabited by Muslim or converted Jewish people, as we can see in the inscription on the main entrance of the house, a sign that identified the presence of new Christian people in order to avoid being expelled. 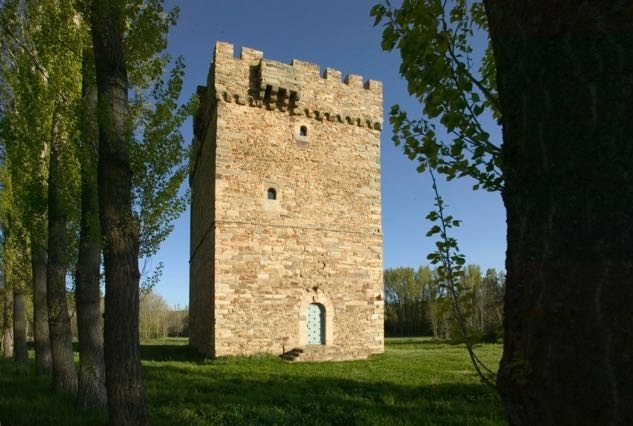 At the beginning of the 10th century, it was inhabited by the president of the town council and, according to the oral tradition, he had to hand it over to Napoleon and, most probably, it was used as his troops’ headquarter. 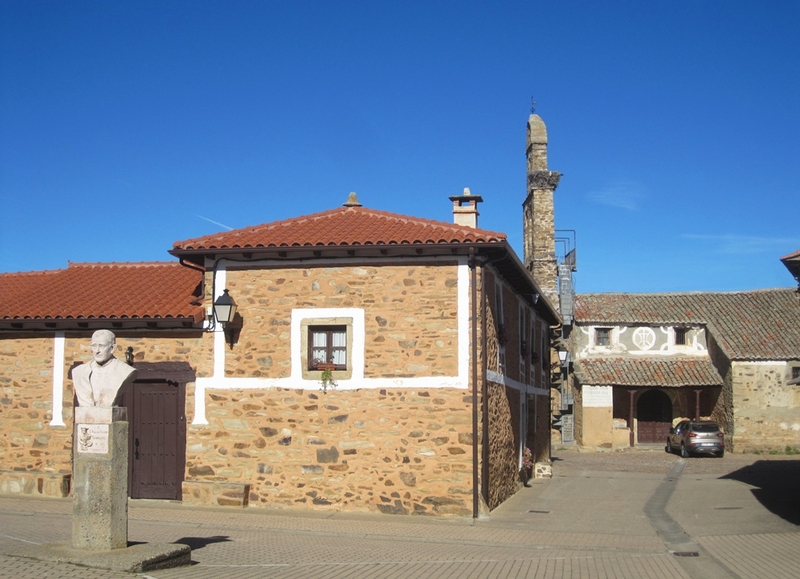 The tradition says that, at that time, celebrating the patron saint’s festivity at the Hospital’s threshing floor, the inhabitants of this town were about to savour a succulent stew, so popular in this region, and they heard that the Napoleon troops were approaching, once Astorga had already been conquered. Then, they decided to go on celebrating their feast, and they started eating the meat first – the most delicious and expensive ingredient of that well known dish, which consisted on no less than 16 types of meat – and they left the soup for last, just in case the French soldiers came. That was how the maragato stew was configured, which – unlike the many other stews that we can frequently find in this area, is eaten the other way round. 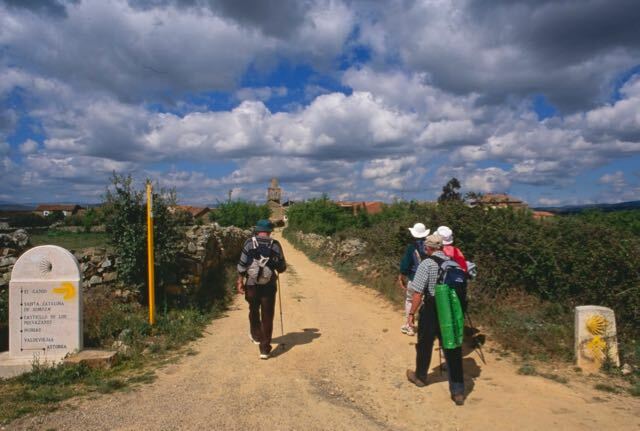 Nowadays, Santa Catalina is a beautiful town, well known in the pilgrim’s route to St. James and Finisterre, with housing facilities, restaurants, a shop, etc. 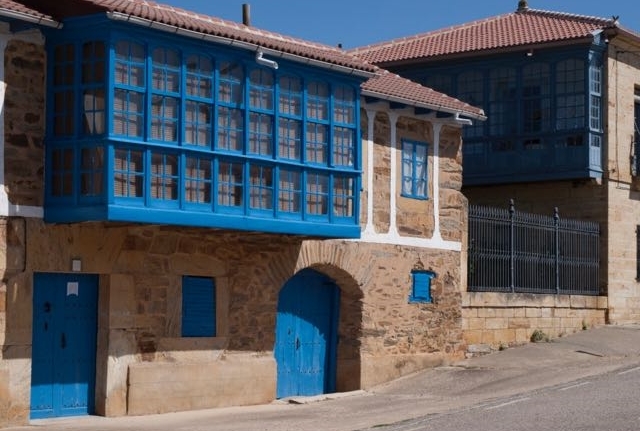 Located in the Maragateria region, this has been a former home town of well-known mule drivers as well as countless entrepreneurs and fishermen, who were in charge of transporting fish from Galicia to all over Spain. 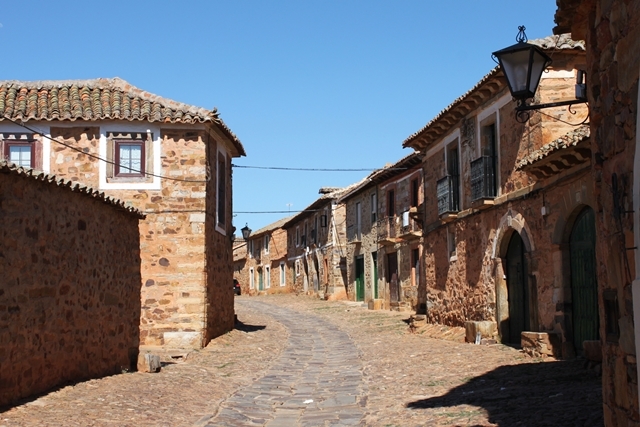 With its rooted traditions and customs, La Maragateria region has a number of towns with an astonishing popular architecture. These towns can be found from the slopes of the mythical Tilenus or Mount Teleno, sacred mountain to the Asturian and Roman people. 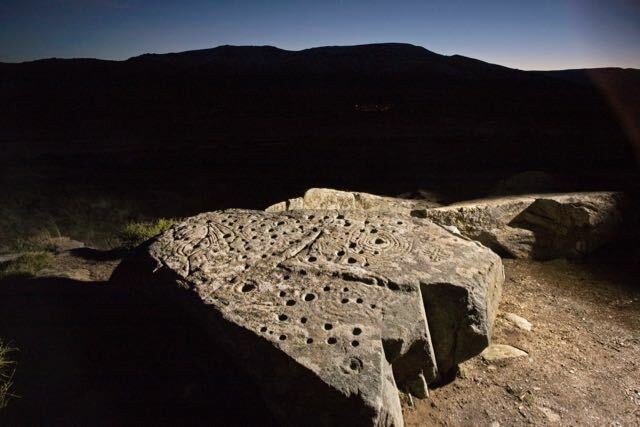 There are remains of mining developments – gold, mainly -, petroglyphs, churches and other monuments, which make this area the perfect place to relax, go for walks, ride a bike or go fishing or hunting. Its cuisine is rich and plentiful. We may highlight the conger eel with arriero garlic sauce, the maragato stew, the entrecuesto or pork backbone stew, the botillo/llosco or meat-stuffed pork intestine from El Bierzo region, the conger eel soup, the trout soup, the cecina or dried and salted beef ham, and several other types of cold meat like the androlla maragata (which is like the botillo but without bones) or the salchichon, which is a type of summer sausage. You can also try the famous pico pardal chick beans, which are a native variety, the natillas maragatas (a type of custard), the popular mantecadas (a native type of muffins) or the merles of Astorga (a delicious tart with cream). 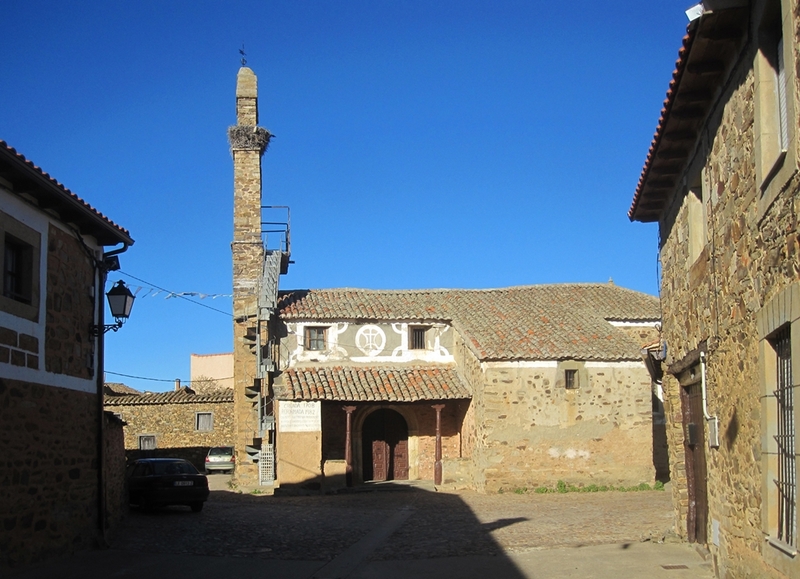 Maragateria is a región placed in the west-centre of the Leon province, and its former name was Somoza. It is a hard, cold land, not very fruitful, placed under the guardianship of mount Teleno, that magical mountain to the Asturian and Roman peoples, which raises over 1188 m high. Down its slopes can we find the remains of gold excavations from Roman times, springs, beautiful towns and landscapes that provide this land with its magic touch and special colour. The origin of its dwellers, the Maragato peoples, is a mystery still nowadays – Mozarabic or Berber repopulators, Carthaginian, Jewish or descendants from the Asturian king Mauregato are some theses considered by the historians. 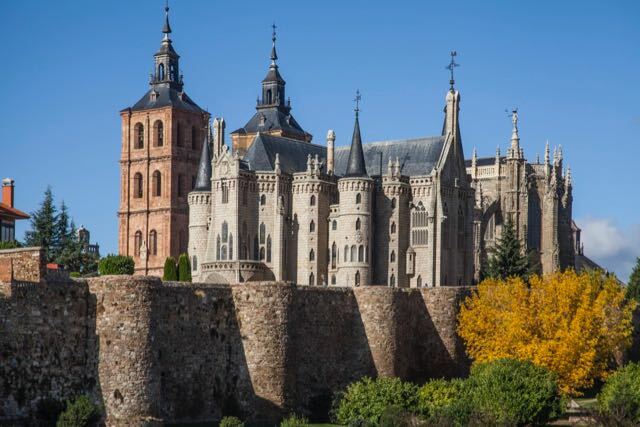 Their customs, traditions, idiosyncrasy and architecture attracted the attention to Spanish and European researchers. They always proudly kept their origin and condition. Some of them became notorious some time, and many of them amassed large fortunes. Alonso Luengo defined them as noble, loyal and brave people. “(…) they live just among their own, preserving their own customs and original costumes, and they never get marries outside of their tribe. Errant and nomad like the Bedouin, with their mules instead of camels. Their honesty and hard work have become proverbial. These people are calm, deep, inexpressive, practical and industrious. Their fares are high, but compensated with the security they provide, since you can entrust them ground gold (…)”. Richard Ford, 1830. “They consider themselves to be a lineage apart in this world, and they are so attached to their moral laws, that they do not adopt other people’s anything, either good or bad”. Among their peculiar customs are the Covada, the Plough festival, the Maragato Bosa, and the Maragato Bowling. They became notorious for their trading skills, and they were the Crown’s messengers, reliable and upright as they were. The first mule drivers appeared already in the 9th Century, with the repopulations by king Ordoño I and their need to provide these people with all sorts of food. They started transporting fish in the 18th Century from the Atlantic coast to the Castilian highlands, mainly Madrid, loaded on their carriages, but they suffered from a deep crisis when the railway appeared in the 19th Century. 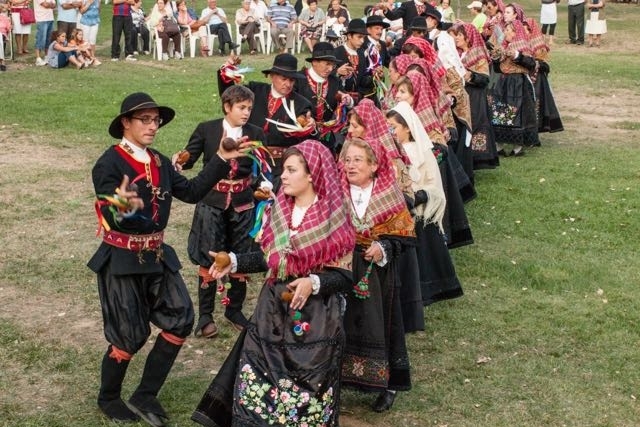 Many of them emigrated to Argentina and Uruguay – they were the first settlers in Patagonia. In Spain, they became bartenders, fishmongers, mainly in Madrid and Galicia, and they have yet today made a clean sweep of the fish market in Madrid and inner provinces. Their architecture, based upon the Roman house model, usually consisted of big square buildings, made with stone and wood, with a big central patio paved with stone, and a large gate with a semicircular arch, which was usually facing the South, from where the carriages entered. The kitchen was facing North. These beautiful Maragato houses also had large rooms and bathrooms, as well as some rooms for the serving staff. 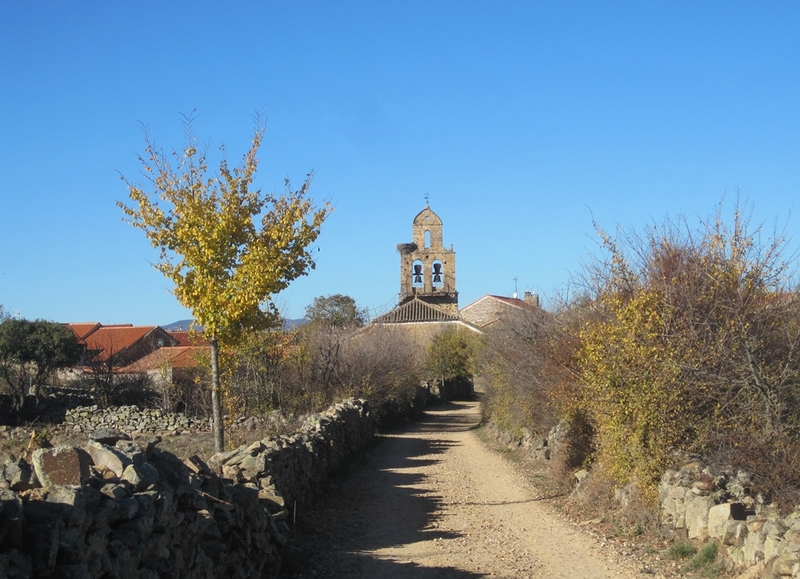 Next to them were other houses, more humble, with their roofs made of thatch or tiles, reminiscences from the Asturian culture, and their pallozas or teito houses. The size of these mule driver houses was according to the acquisitive power of their owners.